one real advantage to flip up windshield is if you get in a heavy sun situation with dust on any windshield, you get "glare". With flip up, you quickly open it and get thru the bad light, then stop and clean (if cold) or leave open if warm. With fixed full windshield you are screwed for any "quick fix"
KeithStone76, SuperATV and Doc T like this. I extended my fenders with flexible material. This keeps the windshield much cleaner. 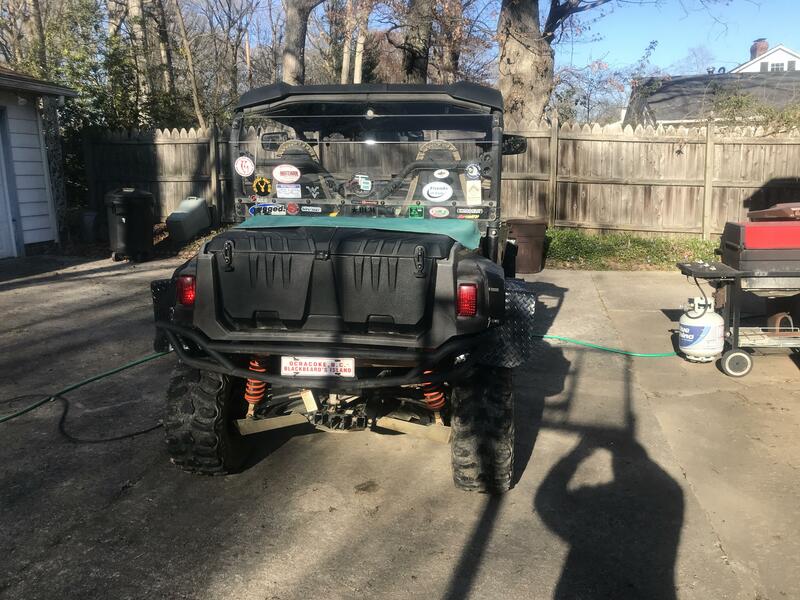 Gorilla winch, Seizmic mirrors, EMP rear shield, Rugged Radio with intercom, 20" light bar, horn plays Dixie, 2"Perfex lift, Kenda Bearclaws ,Trail Tech temp gauge, Yama rear box and bumper, Throttle Max, tow rope to pull Polaris and Canams. 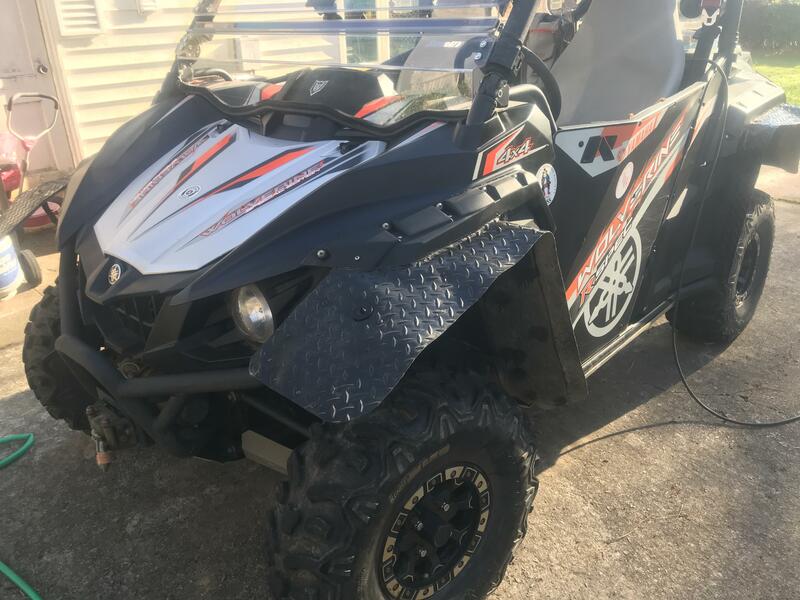 TGM doors and door bags, Power Commander V. TCP "Mudder"radiator,Hunterworks high output fan, Superatv split windshield, extra wide homemade flex fenders. Hauling Wolverine with Full OEM Windshield Installed?